Analyst Yevgeny Gontmakher commemorates Berezovsky, who was not a hero but a face and a symbol of 90s. Boris Berezovsky, who died last month, was a shrewd self-promoter, but he was never the real embodiment of an era. It was Boris Yeltsin, Russia’s first president, who defined the era of the 90s, working with people who, while less known to the general public, played no less of a role in the events of that time than Berezovsky did. Admittedly a smart and well-educated professional, what Berezovsky did become was the face of that era. However, he fell victim to his own ambitions, and thought his power had no limits. In the 90s he rose rapidly from academic to wheeler-dealer small businessman, established contacts with the powers-that-be, got access to Yeltsin’s private office, and started positioning himself as a powerbroker – a figure who could informally decide the fate of the country’s leaders and, by extension, the fate of the entire nation. An overblown ego was his biggest flaw. In today’s Russia, we have inherited the political legacy of the second half of the Nineties. While it has since undergone certain modifications, its fundamental principles have remained the same – just take a look around. For instance, look at the economy: opaque deals between private companies involving public property with informal “mediation” by the state, and so on. Especially important is the contribution of Berezovsky – albeit not by him alone – in the establishment of informal power structures, something Russian society is still suffering from today. Berezovsky did a lot to prevent public politics and public institutions from emerging in Russia. Manipulation, scheming and building sophisticated cliques were what filled the gap instead. The result was that all crucial policy decisions in the second half of the 90s were made behind closed doors. The role of public institutions, such as the State Duma and the government, let alone civil society, was sharply reduced. 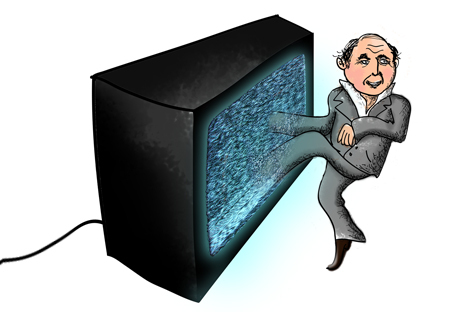 Berezovsky’s other negative legacy – and he admitted as much – was the distortion of the role of the media in Russian society. He was among the first to turn the country’s media into a tool for political struggle and propaganda campaigns. During his years in exile in the UK, I don’t rule out that his ambitions let him down once again. The failed litigation against former business partner Roman Abramovich could well have broken him psychologically. He was certainly depressed during the past few months. Could a new Boris Berezovsky emerge in Russia nowadays? In short, no. Such a figure is impossible today, because during the more than 10 years since his flight to London, politics in Russia has taken on an established shape. People who seek to position themselves as power brokers cannot enter the public stage under Putin. Berezovsky tried to impose his point of view on Putin publicly – and paid the price. If, sooner or later, Russia makes the transition to a developed political system, people like Berezovsky won’t survive there – they are unthinkable in countries where open procedures prevail over informal networks. In such an open society, anyone who is outside those procedures cannot exert serious hidden influence. Yevgeny Gontmakher is deputy director of the Institute of World Economy and International Relations.